I’d like to introduce a guest column by Salil Kallianpur, a healthcare marketing professional with experience in the pharmaceutical and medical devices industries. Salil is an avid reader and follower of healthcare current affairs, its politics, and strategies. He comments on the intersection of healthcare and life on his blog My Pharma Reviews. He is based in Mumbai. The views in this article are his own and not those of his employer, a pharmaceutical organisation. The price of medicines has always been a matter of animated, even acrimonious, debate. Most of the time, activists assume that the only way to solve social challenges is through government and charity and that the only purpose of business and investing is to make money. Responsible sections of the pharmaceutical industry reject that worldview. Consider this. Swiss drug maker Roche reduced the price of its blood cancer drug Mabthera by 50% in South Africa. Sanofi slashed prices on its diabetes drug Lantus and its cancer treatment Taxotere in the Asia-Pacific region. Eisai cut prices of its Alzheimer’s drug Aricept in 6 Asian countries and GSK cut prices on “essential” drugs by 40% to 50% in Kenya. These recent Big Pharma attempts at tiered pricing in the developing world signal a deviation from the age-old strategy of recovering research costs through high prices. India’s ambitious plan to provide free medicines to its people has received worldwide attention. For details see here. It’s no secret that the world’s largest democracy also spends an abysmally low percentage of GDP on healthcare. This is a belated attempt to correct that. In theory, this is a welcome move. In an earlier post, I had spoken of how India should not limit itself to tools such as compulsory licensing to improve drug access and affordability. Counterfeit drugs : Europe vs India? The EU’s industry commissioner says trade in counterfeit medicines in the Union has exceeded its worst fears, according to German daily Die Welt. 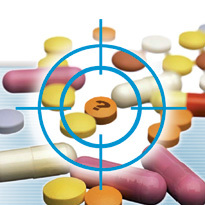 “The number of counterfeit medicines arriving in Europe … is constantly growing. The European Commission is extremely worried,” the commissioner, Gunter Verheugen, said yesterday. 34 million tablets have been seized in 2 months from various custom points, he said. Verheugen did not name names. But an AFP report based on Verheugen’s interview to the German daily pointed out that a July EU report had identified India as a large source of many of the fake pharmaceuticals seized in 2008. That is embarassing, even shocking. If it is true. But the EU’s definition of counterfeit is elastic. It stretches to include generics of products currently under patent protection in the EU – even if they are in transit to other countries. It is this expansive definition that has led to seizures of Indian drug shipments at EU custom points, and the tarring of India a as a significant source of counterfeits, says D G Shah, secretary-general of the Indian Pharmaceutical Alliance. In recent months, tens of drug shipments from well-known Indian companies such as Dr Reddy’s, Macleods, and Cipla that were merely passing through EU ports on their way to countries in Latin America have been seized, in response to complaints from patent-holding companies such as Sanofi-Aventis, and Novartis. These drugs were however not under patent in the buyer countries. Given that India is a huge exporter of generic drugs to those countries, and that transit via Europe is a preferred route, then is it any surprise that India is such a large source of ‘counterfeits’? New Delhi has so far been ineffective in preventing these seizures. It has belatedly reacted by taking the EU to dispute settlement in the WTO. But that’s clearly the beginning rather than the end of the issue as Verheugen’s latest interview – probably intended to keep the issue alive – indicates.